Rubbing shoulders with the people who feed you! A while back I posted about Kitsap Farmer’s Markets for those folks who were looking to get up close and personal with a farmer (sort of like going to the zoo but it costs less and you get zucchini!) If you have taken that baby step and want to get even more farmy there are lots of events coming up this summer and fall where you can even see farmers in their natural habitat! Bring out the kids for a day all about them! To start, show the kids how all of the delicious food at the market is grown by taking them around to all of the tractors that will be scattered throughout the market – some brand new, some 60 years old! Next, grab a fun tie-dye shirt, for which the PFM is famous! Choose your own size and colors! Recalling the self-sufficiency of previous generations who planted Victory Gardens, Manette edible gardeners are opening their gardens to their neighbors to show techniques for growing food in small urban spaces. The tour is also a great way to learn about animal husbandry in the city. 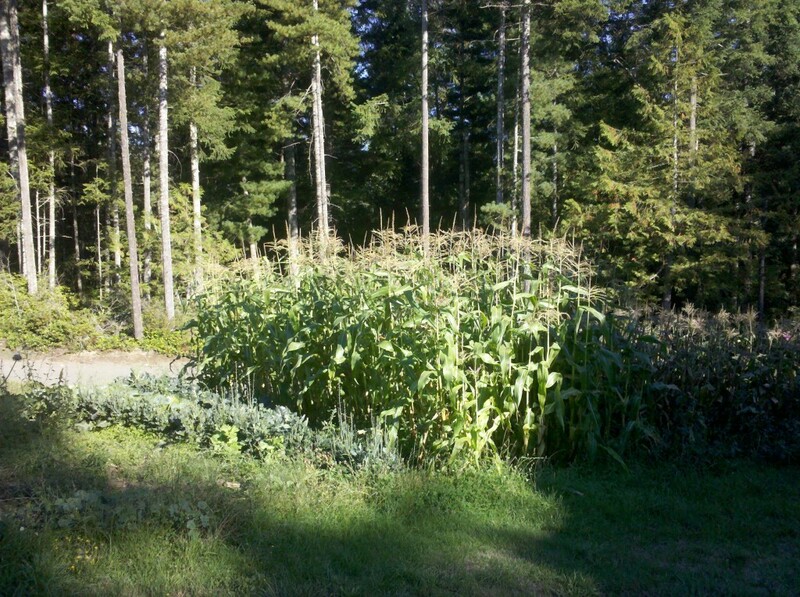 All welcome to join us for the third annual Farm to Table Dinner on Bainbridge Island. Enjoy local food and spirits with delicious tastes from ten local restaurants, bakeries and wineries. Live country and western swing music provided by The Jangles. Tickets available online. August 21-25th – Kitsap County Fair and Stampede! So much fun you will have a cow! Livestock exhibits and shows, educational displays and much more! Come on Saturday, August 24th for the Kitsap Junior Livestock Association 4H and FFA Market Animal Auction and bid on hogs, lambs, goats, steers, rabbits and broiler chickens. Auction begins at 11:00am. Complimentary lunch sponsored by Kitsap Bank! Join the vendors and more after the market for a kid-friendly event, fun for the whole family! Pulled pork picnic dinner, live music, farm games and contests, a raffle, and a silent auction featuring goodie bags and baskets generously donated by local businesses and regular PFM vendors. Child (10 years or younger) – $5. Proceeds from the Petersen Farm Fall Fair support the Kitsap Agricultural & Community Alliance (KCAA) and the Kitsap Community Food Co-op (KCFC), who are partnered in this effort to increase access to local food to the Kitsap community. Come to this family-themed fair and enjoy hayrides, hay bale maze, carnival games, live music, farm tours, vendors and much more! In Silverdale, WA off the SR3 Trigger Avenue Exit. 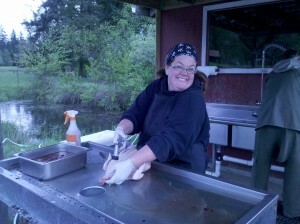 Local chefs prepare an amazing Kitsap Grown meal! Hosted by KCAA. Follow them on Facebook as more information becomes available! 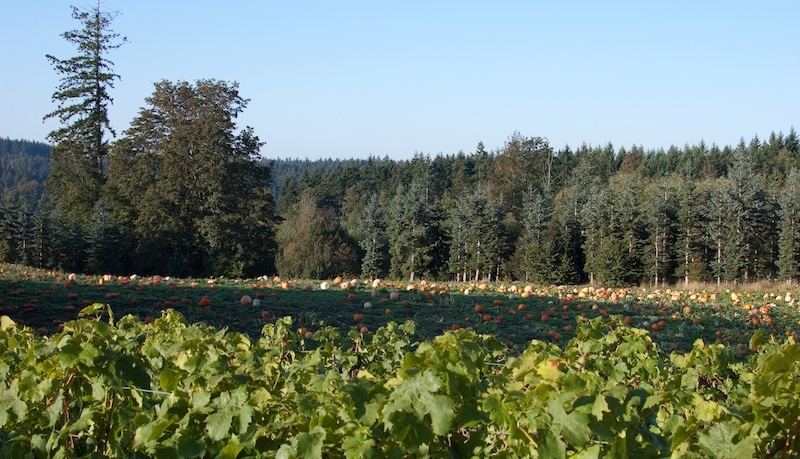 Friends of the Farms sponsors and organizes the annual Harvest Fair at Johnson Farm on Bainbridge Island. This educational and fun event brings our community together to celebrate, appreciate and nurture local farming. Not just for the kids, Harvest Fair encourages everyone to take a day and join us on the farm. The PFM Harvest Dinner is an annual fundraiser which showcases the very best that the market has to offer! Hosted by Chef John Nesby at Mor Mor Bistro in Poulsbo, this dinner features fresh, local ingredients purchased primarily from the PFM. The event begins at 5:30pm with cocktails, followed by dinner and a live auction. Tickets available at the market starting in July. Came across this column in the Tacoma News Tribune about shortcake suppers. She talks about her grandmother cooking for the farm crew and it struck a cord in me because I grew up helping my mother put on the big spread for farm workers and cooking for the hay crew happens at our house too! When I was growing up my dad had 3-4 good farm friends he swapped labor with for things like haying and chopping silage. Each farmer had a couple pieces of machinery (tractors, mowers, wagons, forage harvesters) and they would share machinery and help each other at crucial times of the year. The really cool thing is that each farmer did slightly different things – one was a dairy farmer – another raised beef cattle – so their busy times were not at the SAME time! As my Dad and the other farmers traveled from place to place doing the big, shared work projects like haying and silage, the wives would always put on the big spread for lunch. In the 70s there wasn’t many arenas where women competed – except in the kitchen. Title IX was a few years away and most women were relegated to pink collar jobs. But, in the domestic domain it was full-contact homemaking! Just like the Amish women at barn-raising events, the tables would be groaning under the weight of baked goods and breads, mashed potatoes, gravy, roast beef…and dessert! Cobblers, cakes, and PIES! Now, my Dad was a bit of a joker and he liked to egg people on. So, when they were having lunch at Charlie’s and Marion was feeding them he would say things like, “Well, you know, at Hank’s last week we had apple and lemon meringue pie!” Sure enough, the next day Marion would produce, apple, lemon meringue AND cherry (with ice cream!) It is a wonder they ever got any work done given the amount they ate, but they were also doing hard physical labor and could justify the big meals. At our house we typically feed the helpers who work with us on hay deliveries. Sometimes we have 3-4 of them on busy days so dinner is a big, sit down affair. On Saturday we do a big farm breakfast for everyone who shows up by 8:30 in the morning. Last week we had eggs, sausage gravy, fried potatoes, toast and jam. I do this as a carry-over from the tradition when I was growing up. And the crew is always grateful which provides a reward for the work of cooking for them. While I don’t have other farm wives to contend with in a contest of pie-baking skills I need to be careful because occasionally a mom will ask “So, what did you feed them this week?” in a my-kid-seems-to-like-your-cooking-a-bit-too-much tone of voice. But the fact remains, I like to cook for an appreciative audience. The other night we had one of our former helpers who was home to visit family for the 4th call and say that he was coming over to help us for a couple hours for old time’s sake and the last thing he told my husband was “….and I will stay for supper!” Game on! Shannon was gracious and outed us about farm decor. 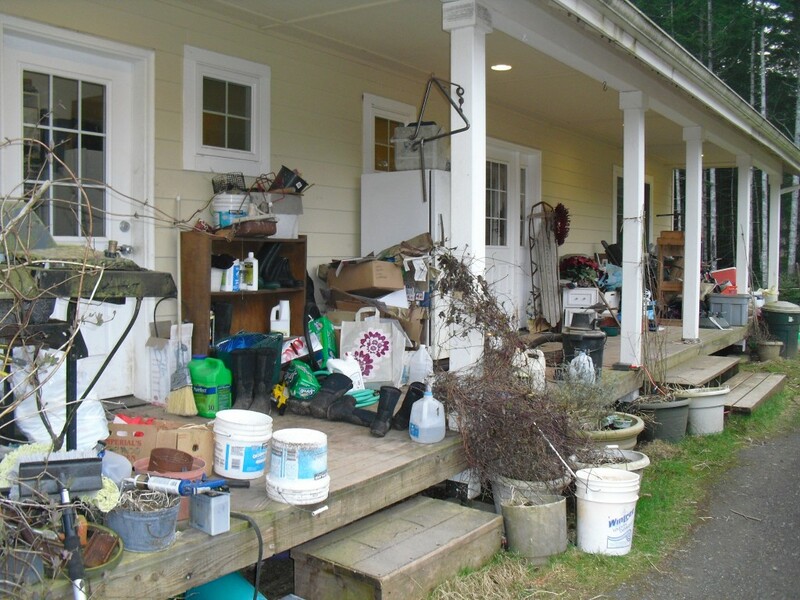 In the interest of full disclosure, the inside of my house is tidier than my back porch. Even if I do have a latex IV set-up hanging from the suncatcher over my kitchen sink. (It needed to dry completely after it was last used!) 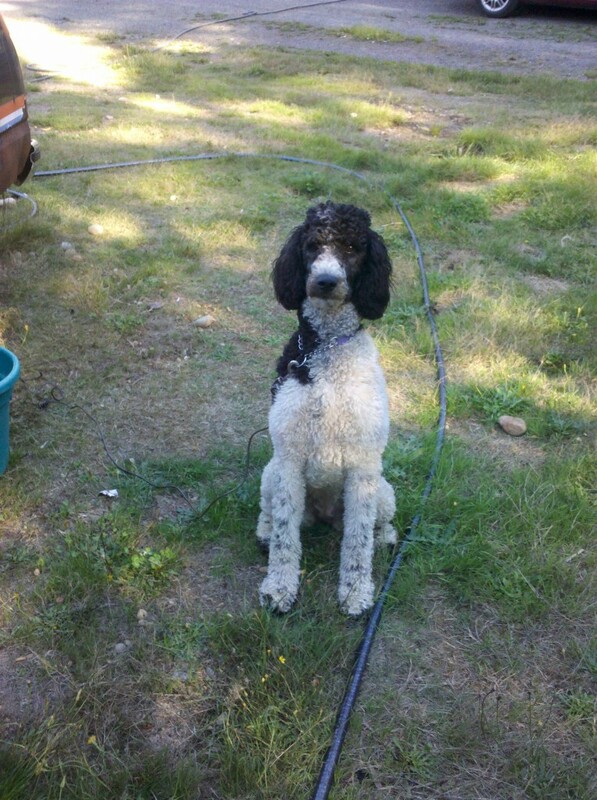 This was taken last year (the BBQ is gone!) and it is much tidier (sort of) now. We built this house and I had the idea that we would enjoy the porch on warm summer evenings. Instead we have to battle for space with boots, recycling and camping gear. The garage where most of this will go hasn’t gotten built and so rather than clutter up the (unfinished) basement further it lives on the porch. The little freezer on the porch has 200# of veal in it, and during the summer it is handy for chilling fryers. There are two more freezers in the basement…along with the canning pantry. The garbage can isn’t full of garbage – it just happens to be convenient to store the chicken feed in a garbage pan near the porch because the layers live in a coop not far from the porch. And, unlike Martha Stewart’s architecturally designed coop at Turkey Hill, mine is covered with a blue tarp. Did you honestly expect anything else? Early this summer I posted about the busy-ness of farm life in the summer. Now that we are in late fall there is much less going on but there is still some activity. Here is a sampling of what happened this week on the farm. We got a new rooster the other day. Until now we have only had roosters on a temporary basis. When you raise chickens straight-run (from eggs instead of buying them at the feed store) at least half of the flock will be roosters. But, on our farm – when they crow, they go – straight into the freezer! However, a good rooster takes care of the hens in his flock. He will call them to tasty tidbits, send out the alarm when predators come around and for natural flock behavior hens need a rooster. So when Shannon ended up with an extra roo this year we offered to take him. Foggy (a nod to Foghorn Leghorn!) is a handsome fellow with golden plumage and a dark brown tail. Perhaps we will have some chicks in the spring if we get a broody hen! Time for once a day milking! Alexis has been dried up for about a month now, Ellie is on her way. We went out of town for Thanksgiving after morning milking so Ellie is now down to once a day milking. She is still giving almost two gallons a day, most of which is going to Frank. He is the bucket calf we got last summer after I had a moment of insanity and bought a second cow! Originally the plan was to just graft him on to Alexis and let her raise him so I only had to milk one cow. After two weeks of tying up a homicidal and unwilling mother cow twice a day while he nursed to make sure she didn’t kill him outright, I decided that I would rather spend 5 minutes milking her than 20 minutes watching her. Frank took to the bucket like a champ and is growing nicely. He is scheduled to go into the freezer with the hogs in a couple of weeks. Everyone is appalled that I am going to process a veal calf because there has been so much press around animal welfare issues on veal but Frank is not locked-in-a-box-in-the-dark veal. He is running-around-the-pasture-drinking-milk-being-a-nuisance veal. We also need to have fewer animals in our pasture during the winter to keep down the mud and because both cows are going to calve in March, Frank has to go. Besides, by Christmas there will be no more milk. We enjoyed Thanksgiving with family. My contribution was PIE. I spent the last week making apple pie filling with Shannon. I put 15 quarts in the canning pantry and I think she ended up with about 12 quarts. I still need to do some apple sauce but that is it for canning for this year. I called my sister-in-law all excited about the prospect of bringing an apple pie – only to have her say, “…and I will be making apple and pumpkin so how about you bring something else!” So, I brought Pecan, lattice-topped Cherry, and Chocolate Silk Pies. The chocolate silk pie was a last minute addition because I had extra pie crust and have been on a pudding binge lately. When you have gallons of extra milk you get creative – and a batch of pudding uses 2 quarts of milk! My recipe is adapted from one I found on Culinate for Creamy Chocolate Pudding. I make a triple batch with whole Jersey milk and omit the butter (there is a limit to how much fat one needs!) For pie filling I add a bit more corn starch than the recipe calls for and the resulting pudding is more like chocolate ganache than pudding. It is dense, chocolatey, smooth and creamy. Heaven! I brought home leftovers of the pecan and cherry, but the chocolate was GONE! Our turkey dinner will be either Sunday or Monday depending upon when my bird is defrosted. 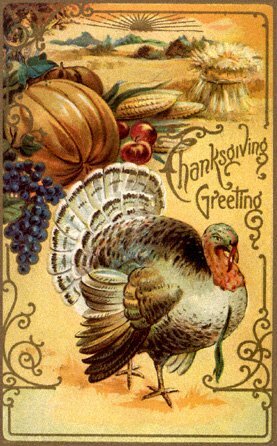 Sooner would be better than later because it is taking up precious fridge space but I am willing to wait for turkey leftovers! My mom’s firewood is finally done and in the woodshed. After 40 years of heating with wood I keep thinking that she will give up and get a pellet stove. After all, she will be 78 this year and doesn’t get around as well as she used to. But, no! 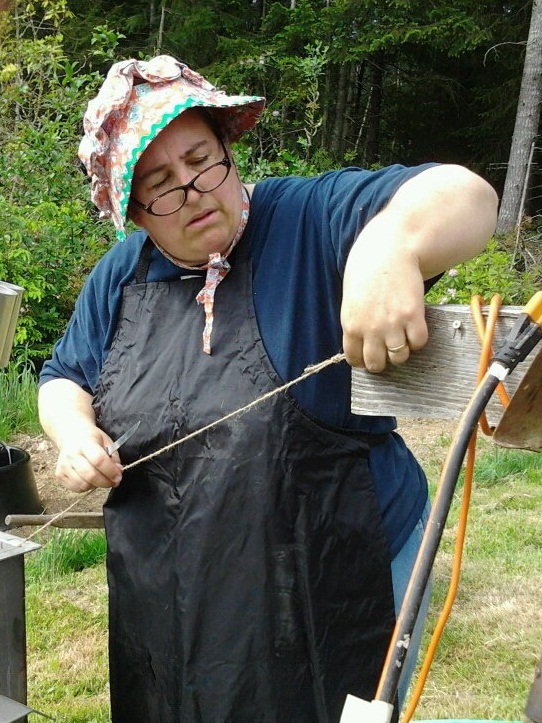 Last year when her woodstove died she bought – you guessed it – another woodstove. Because she has a small house she has a small stove – with a 14″ woodbox. This means that we need to make sure that the wood is cut small enough and the pieces are well split. Every year we put her wood up, and every year we wait until it starts raining. This year was no exception. But, the wood is in and she will be warm this winter. My kids used to grumble about helping split and stack 3 cords of wood but now they are older and appreciate the chance to help their grandma. It is gratifying to see my grown kids serving others and reaching out! Our family is blessed by a bountiful life and at this time of year we are very conscious of our fortune. We have a full pantry and freezer after a summer and fall of “putting up” from the farm and garden. Our children are growing up to be generous and capable people. We are part of a wonderful community of farm friends and others who enrich our life. We have good health, a comfortable home and stable jobs in a time when many don’t have those blessings. As we approach the holiday season, I try and keep in mind that the most important things in life aren’t really things at all. We try and give experiences for gifts but if you are going to give this year, be farm-friendly. Several local farms offer CSA’s or Farm Share programs and I can think of nothing better than the promise of fresh veggies during the depths of winter. The local farmer’s markets have extended their season so you can still buy gifts from local vendors. And for the kiddos on your list there are a couple books that are favorites around here and help children learn more about farm life. The beginning of summer vacation certainly has been busy around here! As my kids said goodbye to another year of school, I resumed classes for the summer session for college. I am taking classes toward an Ag degree at Oregon State University. Having been eleven years since completing an Associates degree, I have been pretty careful about the class-load and since Math is not a strong subject for me, I opted to make it my sole summer class. Turns out, that was a wise choice. Last week it was Euler and his formulas relating to circuits. ((Gag)) This math class is a study of everyday math and I had already taken it once while studying in Hawaii. Math is different in Hawaii, but that’s a whole ‘nother post. Regardless, it didn’t transfer. A few weeks ago, Diane and I wrote about our daily lives living on a farm. A lot of point A to point B and beyond. And in order to get the maximum amount done, we have to be pretty efficient with our footsteps. After all, we are pretty busy ladies. So, as I set out to do chores I think about what needs to happen to set my route. Now, Euler was made famous for this when he solved a bridge problem (you should look it up, I can’t explain it very well) and companies who use an Euler circuit can save serious money! So, if I use a Euler circuit while doing farm chores, it will free up some time and energy to accomplish more important things, like Balsamic Vinegar Strawberry Jam!!! And that leads me to the real point of my story. 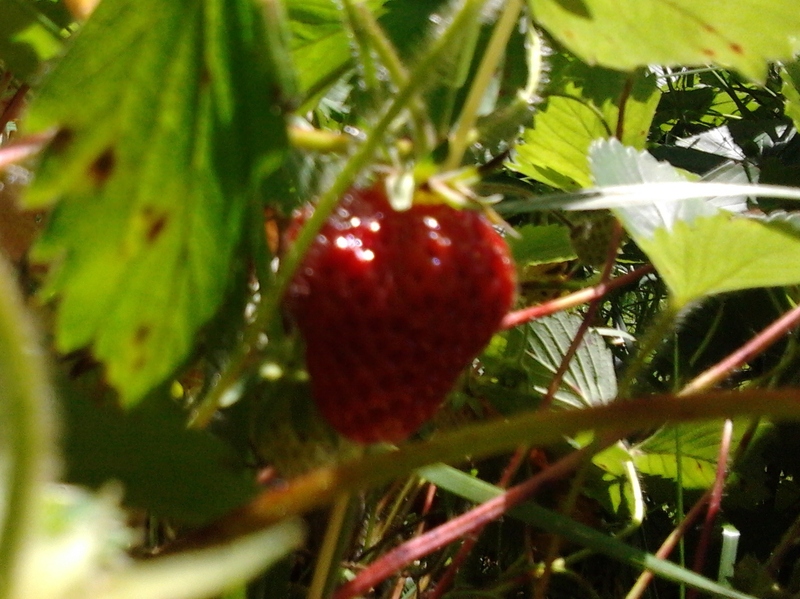 It is finally strawberry time and we are on the cusp of raspberries, too! Jams and jellies are a great way to explore food preservation and I would love to teach you how to do it! Don’t worry, we won’t be discussing Euler’s circuitry. My classes are FAR more interesting than that! Plus, we will make a batch to share! So, head on over to the WSU Kitsap Website and sign up for my class THIS Thursday! This class will be from 10 am to 1 pm and is held at the Silverdale Community Center. 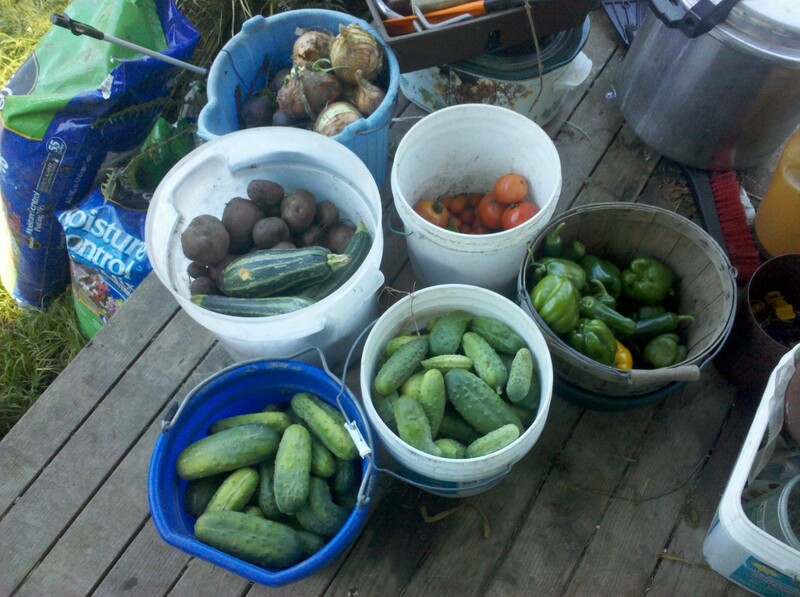 You will also notice that “Jammin” is a class from the Hip Homesteading summer series exploring everything from Jams, Pickles, Soap, Cheeses, Pressure Canning…there’s something for everyone! If you are looking for local strawberries, Pheasant Fields Farm has them! We spent an hour in her patch picking strawberries that she will sell at the Silverdale Farmers Market today! These berries are the smaller more flavorful ones, perfect for a batch of delicious jam! And as your going about your daily business, give Euler’s Theorum a thought…there just may be some time in your day to make some jam! Yesterday I posted about preps for P-day for the chickens. Several people have asked me “Doesn’t that gross you out to kill your own chickens?” and I have to confess, there is an “Eew Factor” to processing chickens. But, I have also seen what the industrial poultry processing system looks like more intimately than most. 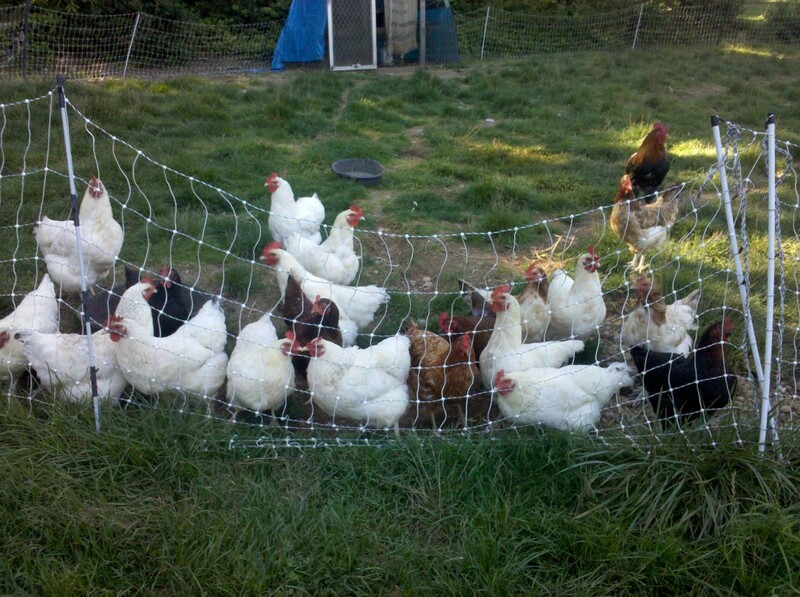 We have several farmer friends who grow millions of chickens each year for Draper Valley Farms. While they produce a safe, affordable locally (western WA) product – their birds don’t move around much and they don’t eat bugs and grass. The meat from pastured birds tastes, well, more like chicken! As a child growing up we bought chickens from a local farmer and I remember how it tasted. When I had my first bite of pasture-raised chicken a few years ago it was a blast from the past. The meat was firmer and more flavorful. So, I can deal with at bit of the “Eew” for the tasty rewards! 5:45 – Alarm goes off and I roll over and hit the snooze. I do this at least twice more before hubby’s alarm goes off and I finally roll out of bed. 6:00 – Head out to do chores. There is 40% chance of rain forecast today. 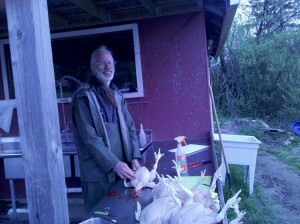 It is no fun doing chores in the rain – processing chickens in the rain is less fun than that! 7:00 – Milking done, hogs fed, chickens fed (the ones we aren’t going to butcher today! ), kids off to school, gather up all the hoses and a couple of extension cords and start thinking about how we are going to set all this up. String a hose from the sink in the laundry room to the scalder to start with hot water. Chase cat back inside. 8:00 – Cursing because the pilot light on the scalder is taking so long to get lit. No one likes to spend that much time lying on the ground holding a wand lighter on waiting for the thermocouple to warm up. Plug it in and hear it make a suspicious popping noises in the electrical box. Burner doesn’t come on. Curse more. Wiggle the cord, more popping noises, burner lights, we decide to avoid touching it since it is working now – and because we don’t particularly want to be electrocuted. Shannon arrives with extra coolers and another table. 8:30 – Helpers start arriving and we start washing coolers, bleaching the tables, and sharpening knives. We spend some time sorting chickens, catching escapees and then move the chicken tractors over to the processing area. 9:00 – Scalding water is taking forever to get hot enough. Curse some more. Get sheet of plywood to cover scalder to cut heat loss and spend more time visiting. 9:30 – Weren’t we supposed to start at 9:00? Sigh. Fix the thermometer – tell Shannon to stop laughing about the bonnet. I can see why women wore them. They are soft after a couple washings and the brim keeps the sun off! 9:45 – Water is hot. Time to start. 11:15 – All done but the shouting. 44 birds in the cooler on ice. The Amazing Donna has the clean up on the plucker and scalder almost done by the time we finish cleaning the last few birds. We get a few raindrops as we are cleaning up and bagging the birds. Helpers take a couple home and we put the rest in the fridge. I will freeze about 10 as whole birds and then cut the rest up into parts for convenient dinners. Hay helpers come and load up the equipment and head inside to take a shower! Noon – head out to take back the plucker and scalder. Have another nice visit with Stuart and Michelle and then go over to the Silverdale Farmers Market to see what is fresh this week! I need a couple of pumpkin plants, and perhaps a few more tomatoes! It was a busy morning but many hands make light work. I am pretty grateful for farmer friends! Thanks for helping! We can’t sell chickens from our processing because we don’t have a WSDA Temporary Slaughter Permit. 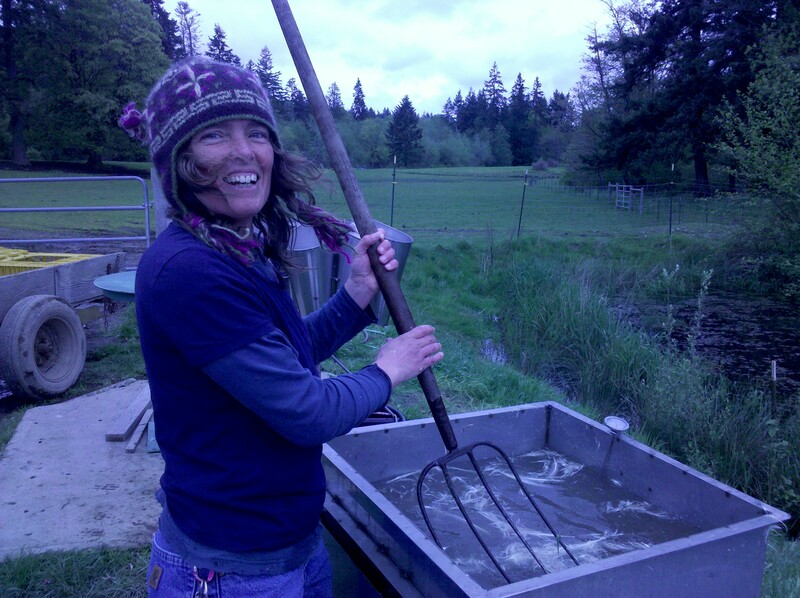 But if you want to find out more about come to the Kitsap Poultry Growers Meeting on June 14th and meet WSDA Food Safety Officer Kim Hoffman. She is going to be talking primarily about handling and selling eggs but she will probably answer some questions about processing as well. 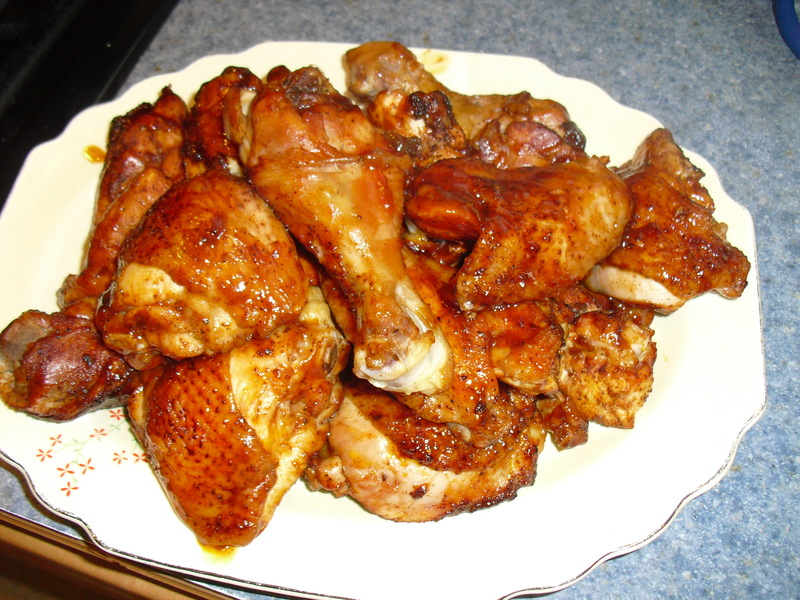 If you want to buy pastured poultry in Kitsap and taste some amazing chicken contact a local farmer about buying pastured chickens. Right now Pheasant Fields, Abundantly Green, Butler Green, Kingston Farm, Dropstone Farm and Blackjack Valley Farm are a few of the local farms I know are selling pastured birds. Many take orders at their farmer’s market stands so look for them there. It is more expensive than BOGO chicken breasts at Albertson’s but it is worth it. This choice isn’t for everyone – but for us it is the right choice. 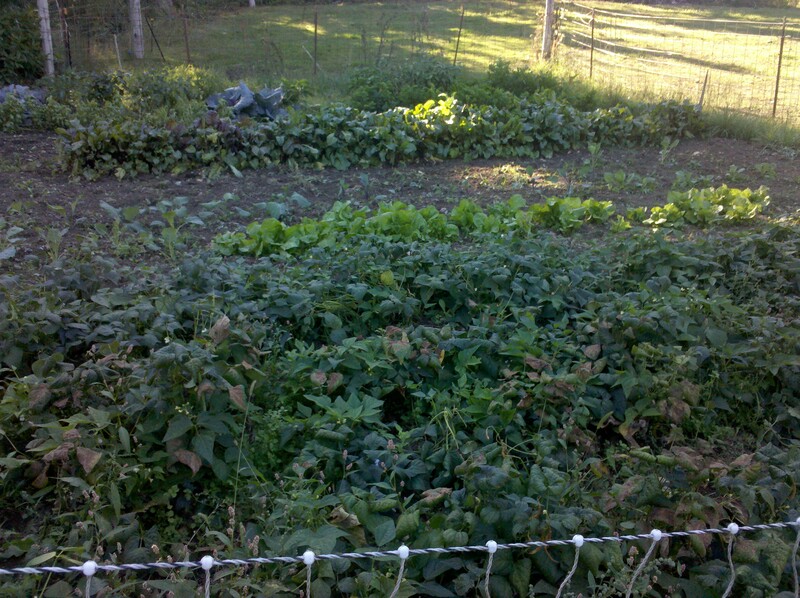 Lauren over at Dropstone Farm posted a farm diary last week. Don’t envy her having to catch the boat and go across the water! She also includes a link from an intern at Polyface Farm. Check them out! It has been a busy couple of weeks for the farm girls. 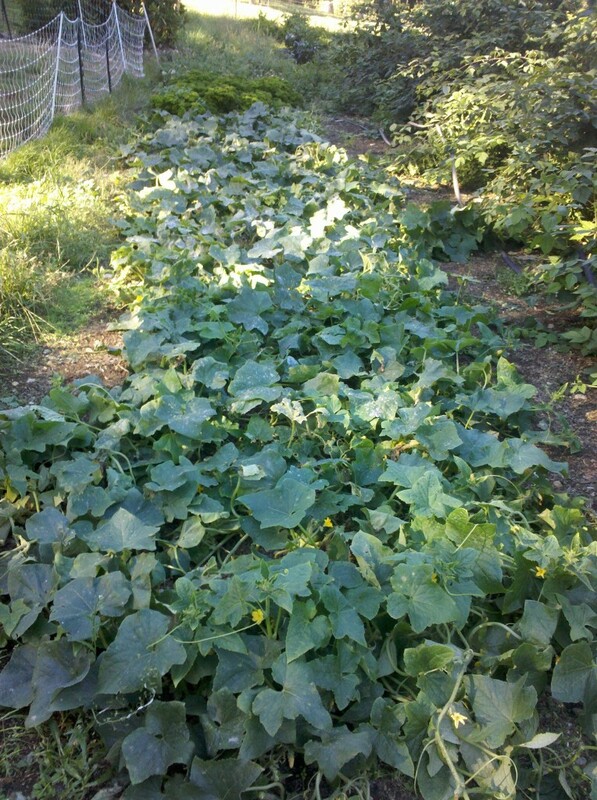 The garden is getting going and last week we started a bunch of pickling cucs in the green house over at Pheasant Field Farm. Thanks to Farmer Nikki for sharing a bit of space with us! In addition to the plants we have started we are raising some chickens at both my place and Shannon’s. A couple of my birds were ready for processing and I had been putting it off! So, yesterday Shannon came over and helped me butcher the four chickens that were ready to go. There are another 40 in the chicken tractors that will be ready some time next week and she will also help with those! That is a true friend! Yesterday we butchered Old School without the plucker and scalder. Hand plucking birds is not my idea of fun and it takes much longer than if you have processing equipment. The four birds we processed today took about an hour … and as a point of comparison working with a crew of 5 or 6 people at Abundantly Green Organic Farm last week we did 45 birds in an hour once we got rolling. 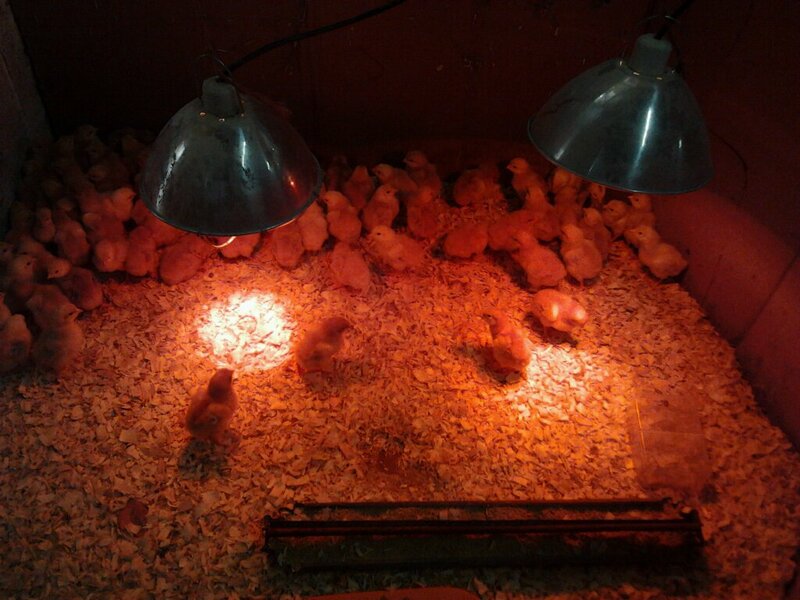 Typically I rent the equipment from the Kitsap Poultry Growers Cooperative, but for smaller batches it isn’t really worth it – though I was rethinking that yesterday! Sharing labor and helping each other is a long-time tradition in farming communities. Barn raisings, threshing bees, making hay. As a child I remember my father sharing labor with four other farmers to make hay and silage. Each farmer had a tractor and separate pieces of the machinery necessary to harvest the crops – but none of them had ALL the equipment. This type of cooperation allowed them all to save money on expensive equipment. However, it was a long relationship based upon trust and mutual respect. A while back I was talking to someone about the process of borrowing a piece of equipment from a Kitsap farmer. I had asked the wife if she thought it would be okay but my husband had to go over and make the deal and demonstrate he was capable of using the equipment. When someone commented about how sexist and old-fashioned that sort of negotiation was I pointed out that for some farmers they would rather let you borrow their wife than lend you their tractor! I value the relationships I have with other farmer friends. They are a resource when I have questions, they share their time and talents freely, and they will even help take care of your animals so you can go on a vacation in the off-season! Here are some shots of the good folks over at Abundantly Green last week! At the time of the signing of the Declaration of Independence Benjamin Franklin said: “We must hang together or assuredly we will hang separately!” and while he was alluding to the threat of charges of treason from the crown, I think about this statement often when working with other farmers. We need to hang together so that we all succeed in this challenging business! And frankly, farmers are really fun people to hang with, even when you are processing chickens!